Konqi connects to the internet. 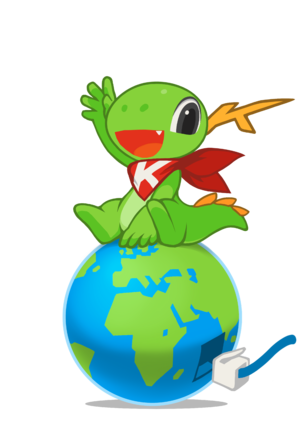 The webteam works closely with the promo and the sysadmin team in KDE to make sure KDE has a nice working and nice looking web presence. The needs steadily change, and there is always room for coders who are able to contribute HTML, CSS or PHP. In order to do any development you will want to have a local version of the websites to test before committing. The instructions how to set it up are here Local Website Setup. This page was last modified on 19 July 2017, at 08:42. Content is available under Creative Commons License SA 4.0 unless otherwise noted.